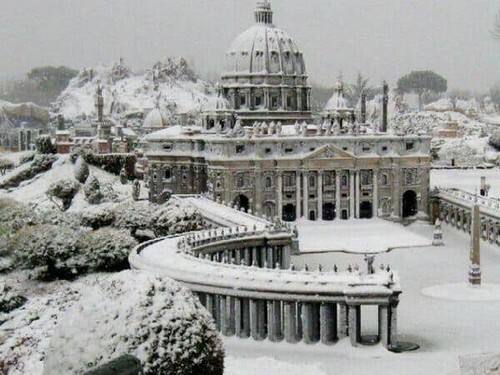 Snow in Rome is rare. It last really fell here in 2012, after a hiatus of nearly 30 years. On Monday, the city awakened under a layer of snow 1.5 to six inches (four to 15 centimeters) deep, depending on the neighborhood. 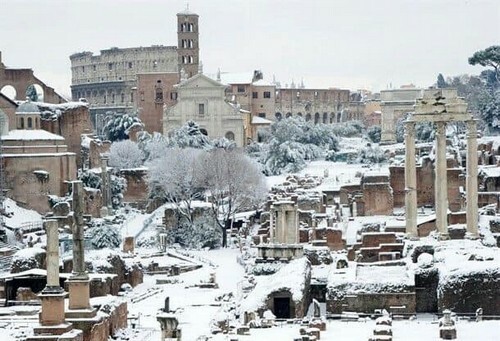 An usually icy winter blasting through Europe reached Rome, blanketing the Italian capital in a rare 4 inches of snow. 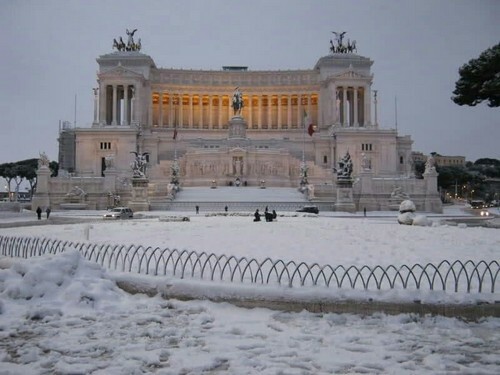 While schools were closed and public transportation paralyzed, residents of the Eternal City were given the rare opportunity to ski, sled and build snowmen. Priests and students held a snowball fight in St. Peter’s Square at the Vatican. 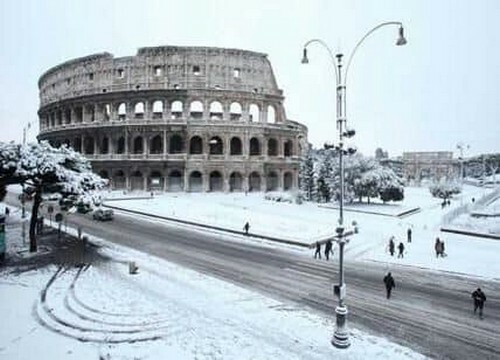 It was the heaviest snowfall to hit Rome in six years. Ill-equipped to handle such storms, the Mediterranean city’s authorities asked the army for help clearing the roads, and called on other areas to send in snowplows, Reuters reports. The unexpected Winter Wonderland was chalked up to a Siberian weather system dubbed “the Beast from the East” which has plunged much of the continent into dangerous, sub-zero temperatures.